Sit Back, Relax and Get Ready for the Premiere of iStopMotion for iPad 1.4! Boinx Software just released iStopMotion for iPad 1.4! The latest upgrade to the award-winning stop motion animation app brings a new Theater for viewing user-videos, iCloud Integration, better image quality and more to iStopMotion for iPad. 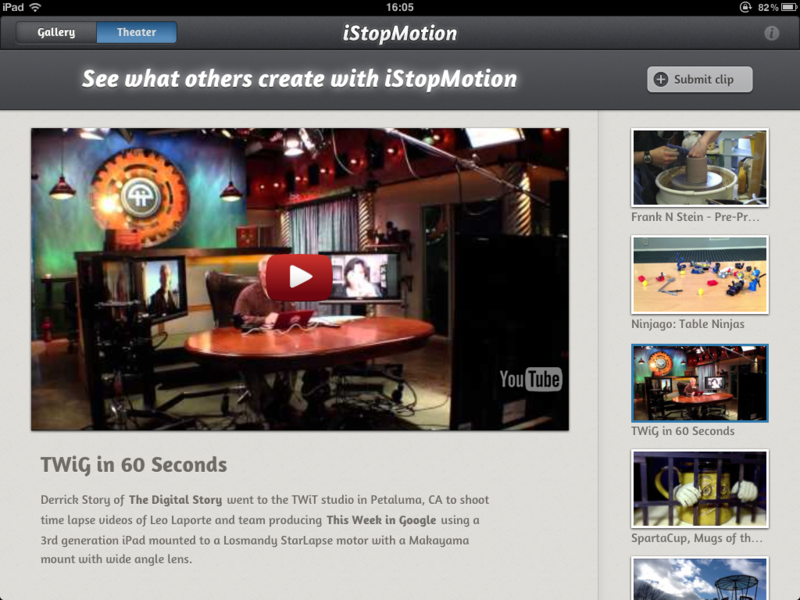 What’s new in iStopMotion for iPad 1.4? Visit the brand new in-app Theater to view and be inspired by what others create with iStopMotion for iPad. Users can also submit their own work to be considered for inclusion. The Theater can also be accessed via the Boinx Software website. When sharing a clip via email, the movie automatically uploads to iCloud (when an account is set up and configured on the iPad) and sends the receiver a link to view the movie rather than a large file attachment, which often exceeds the sending limits of email servers. When shooting movies in iStopMotion for iPad, especially when shooting time lapse movies of sunsets where the light changes considerably over time, users can now set the exposure to continuously adapt, creating a more natural looking movie. Different lighting alters how the camera sees color. 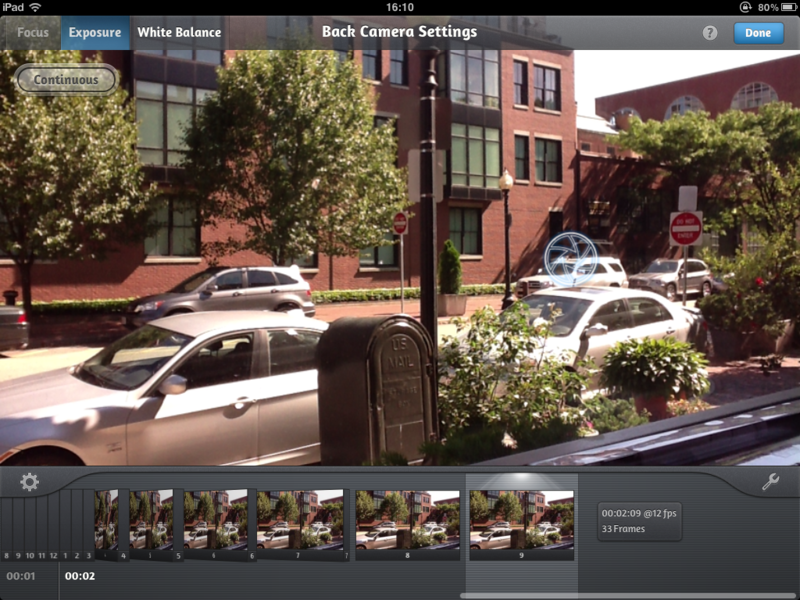 Manually setting the white balance makes for more natural, vibrant colors in your iStopMotion for iPad movies. Frames captured with the new iStopMotion Remote Camera version 1.4 are now automatically compressed, speeding up the image transfer and reducing network bandwidth while maintaining superb image quality. iStopMotion for iPad 1.4 is available now on the App Store for 9.99 USD! And don’t forget about the iStopMotion Remote Camera 1.4! The iStopMotion Remote Camera turns the iPhone 4, iPhone 4S, 4th gen iPod touch, iPad 2 and the new iPad into a remote camera for iStopMotion for iPad, and supports capturing in 1080p HD on the iPhone 4S. iStopMotion Remote Camera 1.4 has also received under-the-hood improvements and is available for free on the App Store!